I vårt 37:e avsnitt besöker Tid för podd Nybro och James Bond-museet, och intervjuar dess ägare i egen hög person, Gunnar Schäfer. Lyssna på Tid för Nybro och fadersfigurer för att höra Gunnar själv berätta om sitt intresse och sitt museum, samt våra upplevelser och tankar om museet. Official Auction results are now available. All sale proceeds of this lot will benefit The Opportunity Network. 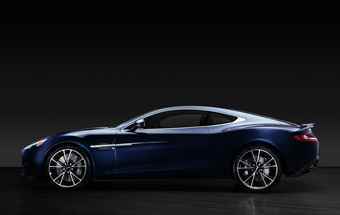 Designed and hand-built at Aston Martin’s global headquarters in Warwickshire, England, the lefthand drive Vanquish features a 6.0-litre V12 petrol engine and an automatic gearbox and has a top speed of 183 mph. The car has a lightweight bonded aluminum structure combined with a motorsport inspired carbon fibre exterior, while the handcrafted interior has been made using fine luxury leathers, carbon fibre and aluminium. The ‘Centenary Edition’ of just 100 vehicles features a unique graduated paint finish and sterling silver Aston Martin wings with tailored ‘trans flux’ enamel, as well as individually numbered sterling silver sill plaques and silver-thread-embroidered headrests. This Vanquish was further customized with a bespoke exterior and interior directed by Marek Reichman, Aston Martin’s Chief Creative Officer, after discussion with Daniel Craig in the design studio at Aston Martin headquarters. Among other bespoke features, Daniel’s preference of denim and dark colors led to the unique midnight blue exterior and deep blue, hand-stitched, luxury leather interior. Together with a fitted blue leather box of accessories, including Bang & Olufsen earphones in leather pouch, solid silver Aston Martin cufflinks, silver Rollerball pen and a silver polishing cloth to buff the badges and plaques; the box interior mounted with silver plaque numbered 007.